The only thing I’ve got to do with the Bottle share whiskies of the Port & Peat theme I recently bought, sampled, handed over and tasted is decide which one is my favorite and finish the bottles (read: my own samples). I’ve been going back to the whiskies over the weekend and have come to some strange conclusions. First, a bit of background to these conclusions. A while ago I wrote about redoing tasting notes and really ‘getting to know a whisky’. This last thing is not the same as writing notes and getting it over with. Unfortunately, that’s what we mostly do, since most whiskies come in 3cl quantities nowadays. Getting to know a whisky is actually sitting down for it on several occasions and trying to decide whether or not you were right in your first assessment, change opinions (if only slightly) and finding and opening more layers in a dram tasted. This is what I’ve been doing to the four bottles I had in this bottle share over the last couple of days. Unfortunately that makes me have to come back to stuff I said earlier. Especially about the Kilchoman. I’ve tried it about three times now and while my tasting notes have not changed much in a point by point way, I do feel the whisky is either 1) getting ridiculously unbalanced if open for more than a couple of days or 2) not my cup of tea after all. 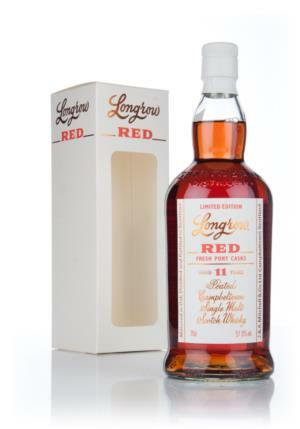 Back in the initial review I stated that I thought it was a pretty good whisky. I’m taking that back. I’ve tried it again and again, and I now just don’t want to finish the rest of the bottle. It’s just peaty strawberry juice with alcohol by now. On Facebook I got a reaction from someone who didn’t like it at all on his first try. For me, it took me a little while longer but I’m agreeing with him more and more. I just don’t like that whisky, after all. At all. Strange, huh? The rest has stayed pretty much the same as before in my view, and that’s why I’m not fully losing faith in tasting notes right now. So, here’s the final list, from top to bottom. Sort of. Longrow and BenRiach. Not much of a surprise there. I love both of these whiskies. I actually love everything about them. Their price vs quality ratio is great. Their flavors are great. They show great depth and there’s loads of things to discover, while not forcing you to do that. This means as much as ‘they’re easy to drink too’. The only complaint about the BenRiach I can think of is that it’s watered down to 50% for consistency (I guess) and it’s not really cask strength. Apart from that, both drams are great, earthy, show port hints in restraint and have oodles of flavor. Oh, and the Longrow is salty too. Third comes the Talisker, after all. I expected this one to be fourth. I’m not a huge fan of it, so the step between 1 (and sort of 2) to three is big. This is an okay dram, but there’s not much to it. But still, if you buy Talisker, just get the ten. Fourth comes the Kilchoman. Apparently three years is not always enough. This one just completely fell apart over the course of a couple of days. Bummer. So there you have it, a short update on how this one went. I’m already thinking about a next bottle share. I hope Master of Malt gets another cask of Cask Strength bourbon from FEW, then I might just do the full FEW line of products, up to and including their grappa. 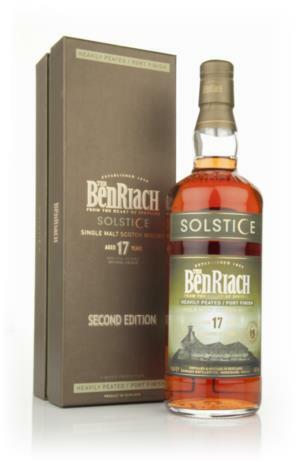 This entry was posted in BenRiach, Kilchoman, Longrow, Talisker and tagged BenRiach, Bottle Share, Campbeltown, Carbost, Highlands, Islands, Islay, Kilchoman, Longrow, Port & Peat, Solstice, Speyside, Springbank, Talisker. Bookmark the permalink.